Hi guys! 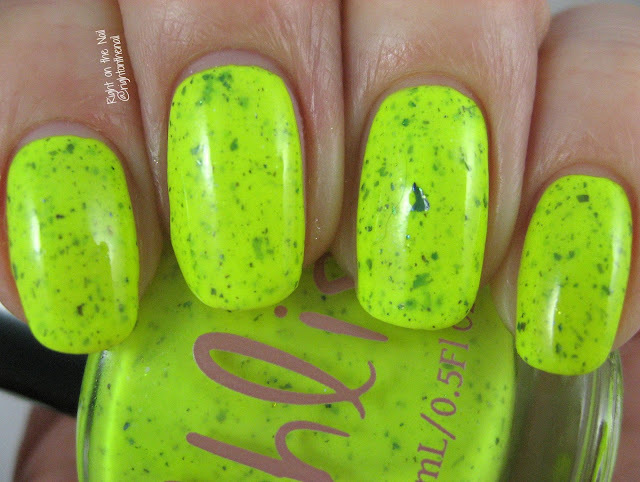 Tonight I have some more swatches from Pahlish since Quicksand is still in stock in the shop. I know Shannon was waiting to get more bottles in, but I believe they arrived this week. Hooray! I've been a fan of Pahlish for years and can't say enough nice things about the brand. I know, I know. You're probably asking yourself why I'm showing Go Ask Alice when it was an Indie Shop exclusive. Well, that's true, but there are some foil polishes currently in stock that are similar to Go Ask Alice. For example, Team Zissou is a turquoise foil with silver flakes while Go Ask Alice is a turquoise foil with gold flakes. How beautiful is this one? 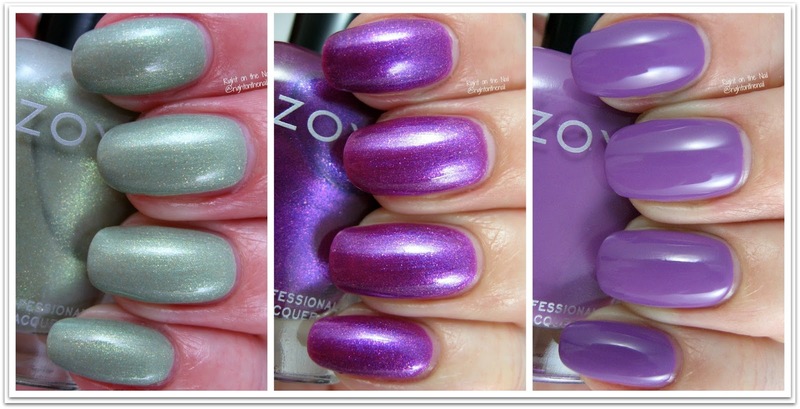 Shannon's foil polishes are definitely some of my favorites. Only 2 coats were needed, but I went ahead and did a third for no good reason. Well, my reasoning is because macro photos are unforgiving. If you can find a bottle of Go Ask Alice, get it. If you can't find it, just go ahead and do yourself a favor of getting Team Zissou. I own the rose gold iPhone so I had to get Quicksand from the Life Aquatic Collection. Quicksand is definitely brighter with more pink, but whatever. I saw it at the Pahlish table in Atlanta and I instantly knew I was getting it. Instead of gold flakes like Go Ask Alice, this one has silver flakes. Again, I used 3 coats for the photos above, but it only needed 2. Both applied flawlessly like all Pahlishes. Go ahead and pick up Quicksand, you won't regret it. It retails for $10 on their BigCartel site. Find out more about Pahlish on their website, Instagram, and Facebook pages.